Just Screw It can help with your renovation from start to finish. Our building and design service can assist you to plan and design the project, we’ll then walk you through the Development Application process, finishing by building your ideal renovation. We are based in Leichhardt and our goal is that work is “done right, on time & within budget”. This ensures Just Screw It continues to grow as a viable business with a loyal customer base. But don’t take our word for it – read our testimonials! 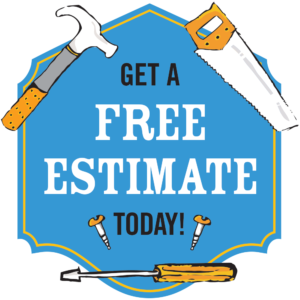 Just Screw It has a network of skilled tradespeople to call upon depending on your job’s specific needs. We use “tried and trusted” plumbers, electricians, welders, sheet metal fabricators, renderers, floor sanders, kitchen/ cabinet/ wardrobe makers, excavators, and many others. Just Screw It also has a network of vendors to supply the best materials for your project at the best available “trade” prices. Just Screw It is based out of Leichhardt NSW and is registered in New South Wales as a Pty Ltd company. We are HIA Members and the business is registered with the Australian Tax Office to charge GST. Just Screw It is based out of Leichhardt NSW and operates under the trademark name JUST SCREW IT&reg;, currently licenced to Paperock Pty Ltd (ABN 85 134 654 158), which is a NSW registered company. Paperock’s building license number is 258627C. If your job warrants it due to its cost, we will purchase “Home Warranty” insurance. In addition, our employees have “Work Cover” as required by the government.